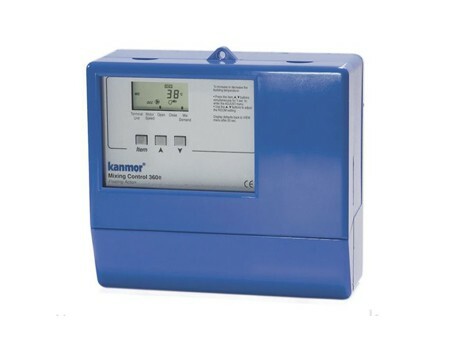 The 360e Controller is a Weather compensation unit with a single variable temperature system. It is supplied complete with outdoor, boiler flow and mixed flow sensors. The mixing method utilises valves with a ‘floating’ action. The Mixing Control 360e is designed to control the supply water temperature to a hydronic system in order to provide weather compensation or set point operation. The control uses a floating action mixing valve to regulate the supply water temperature while protecting the boiler against flue gas condensation. The control has a Liquid Crystal Display (LCD) to view system status and operating information.